I've been pretty unwell this week and so haven't been drinking alot. Last night I felt well enough to have a beer and in doing so I ticked off another badge on my Untappd account. 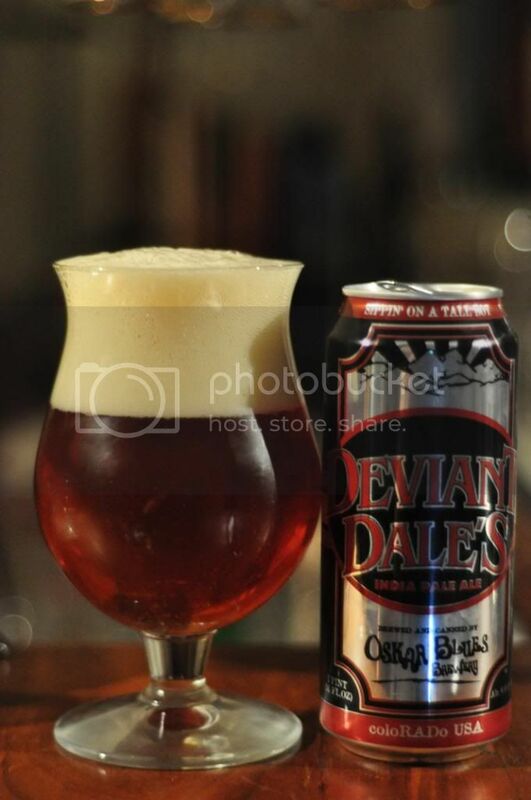 Deviant Dale's from Oskar Blues is there beer that got me there and here is the review. 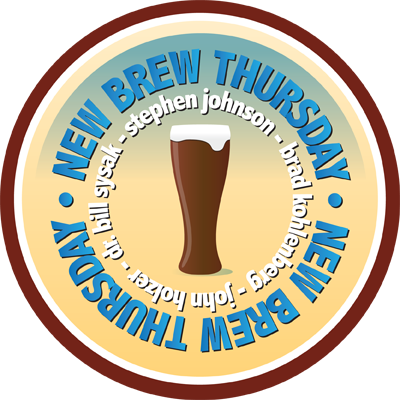 New Brew Thursday is one of those badges that I've never fully understood. Basically you get this if you have 3 beers you haven't checked in before on 3 Thursdays in a 30 day period. Basically it comes around every month and surprises you every time. The most obvious thing to notice about my pour of Deviant Dale's is the head, it's huge! It's a good three and a half finger head of tight orange foam that sits atop a deep orange/copper beer. There wasn't a heap of noticeable carbonation however the head retention was good and the lacing was excellent. It's a nice looking IPA but doesn't really stand out from the crowd for me. Much like the appearance the taste was a bit average. There was plenty of hop bitterness with both pine and citrus flavours strongly present. The malt sweetness is muted to say the least, it's only present if you let the beer warm far too much. Also pleasingly for an 8% IPA there is no raw alcohol flavour. By no means is Deviant Dale's a bad IPA; it did nothing to really stand out from the large crowd of American IPA's flooding the market. I'm never going to say no to an 8% pint can of IPA, but there are better out there. If you want to try a beer from this brewery go for Dale's Pale Ale, that's fantastic for the style!